Colour Soup is a relatively new business that sprouted out of passion. Owner and colour consultant, Simmy Wong takes clients on a journey of self-discovery and empowerment and transforms their personal image, wardrobe collection or interior spaces to truly reflect their personality and style. 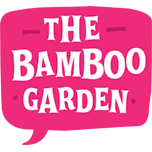 She approached The Bamboo Garden to help establish an online presence that could be leveraged to increase awareness, build credibility and generate leads. After sitting down with Simmy to discuss her business model, goals and budget, we formulated our objectives and strategy. We developed a blog so that Simmy could share inspiring finds and showcase some of the amazing transformations she’s already created for clients; with a combination of social media activities, Colour Soup has been able to develop its own unique voice – connecting and communicating with emotion, engagement, empathy and entertainment. Next we developed a low budget website which involved adapting an existing WordPress theme. The WordPress engine is an inexpensive mechanism for clients wanting a CMS (content management system) on a limited budget. Our designers customised the CSS and various graphics to deliver a look and feel that was on-brand with Colour Soup’s logo and philosophy. We also integrated a mailing list subscription form with custom fields to enable Colour Soup to segment new subscribers.